Contextual correlates of syntactic variation in mountain and western gorilla close-distance vocalizations: Indications for lexical or phonological syntax? The core of the generative power of human languages lies in our ability to combine acoustic units under specific rules into structurally complex and semantically rich utterances. 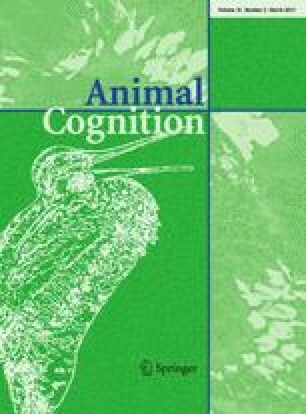 While various animal species concatenate acoustic units into structurally elaborate vocal sequences, such compound calls do not appear to be compositional as their information content cannot be derived from the information content of each of its components. As such, animal compound calls are said to constitute a form of phonological syntax, as in the construction of words in human language, whereas evidence for rudimentary forms of lexical syntax, analogous to the construction of sentences out of words, is scarce. In a previous study, we demonstrated that the repertoire of close-distance calls of mountain and western gorillas consists of acoustic units that are either used singularly or non-randomly combined. Here, we investigate whether this syntactic variation provides indications for lexical or phonological syntax. Specifically, we examined the differences between the potential information content of compound calls and their components used singularly through investigating the contexts in which they are used. We found that the gorillas emitted compound calls in contexts similar to some but not all components, but also in a context rarely found for any of their components. As such, the investigated compound calls did not appear to be compositional as their information content cannot be derived from the information content of each of their components. Our results suggest that combining acoustic units into compound vocalizations by gorillas constitutes a form of phonological syntax, which may enable them to increase the number of messages that can be transmitted by an otherwise small repertoire of acoustic units. The online version of this article (doi: 10.1007/s10071-014-0812-6) contains supplementary material, which is available to authorized users. We thank the Uganda Wildlife Authority and the Uganda National Council for Science and Technology for permission to conduct our research in Bwindi Impenetrable National Park and the Ministry of Education and Water and Forests of the government of CAR for permission to work in Dzanga-Ndoki National Park. We also thank the Institute of Tropical Forest Conservation in Uganda, as well as the Dzanga-Sangha Project in CAR, for logistical support. We are grateful for useful comments on the manuscript by Catherine Crockford and two anonymous reviewers. Special thanks go to the local Ba’Aka trackers of the Primate Habituation Program at Bai Hokou camp, Dzanga-Ndoki NP, and all ITFC field assistants for their irreplaceable help, great humor, and courage. This research was financially supported by the Leakey Foundation and the Max Planck Society.